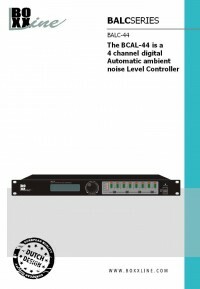 The Boxxline BALC-44 digital ambient noise controller is designed to work with the ambient noise sensor (BALC-SCM / BALC-SSM / BALC-SWM) to adjust the output level according to the detection of the surrounding ambient noise level. 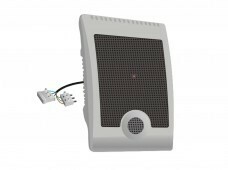 It is necessary equipments for applications like airport, train station, metro station, hospital and stadium, the system itself will adjust the output at a comfortable level based on the detection of working noise, voice loudness and clearance after program set up, thus it will save human operation from one time to time to operate on the system according to work time and off work time. 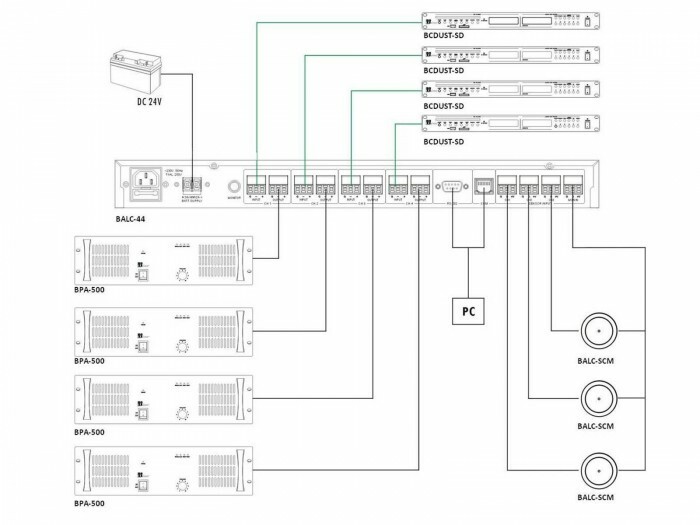 It is designed with four separate channel controller, with 4 ports for sensor support both serial connection & parallel connection, max channel sensor capacity is 16 units. 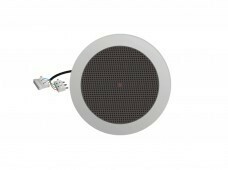 The digital solution ensure the controller of higher capacity and longer communication distance for 3km. It is built-in a CPU & LCD display with program buttons, thus all operation could be done by itself or through RJ45 to PC, an user-friendly software in English is supplied for remote program and set up. The system could work stand alone without PC software after configuration. While a RS232 port is supplied to communicate with third party system. 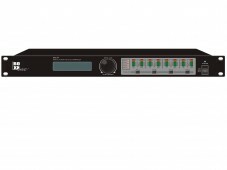 4 separate channel line inputs and line outputs for PA and voice evacuation system. 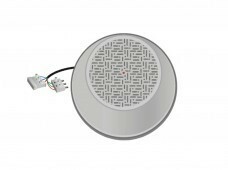 Built-in automatically ambient noise control (ANC) and output level adjustment function (ALC). Both AC 230V and DC 24V operation system.